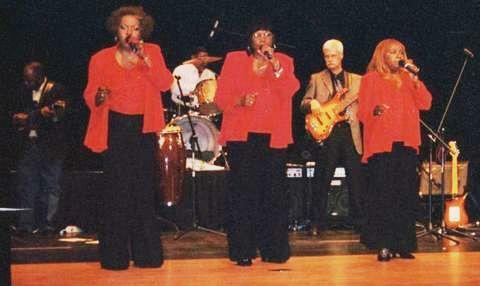 Doo-wop deejay Tommy R has done a phone interview with Barbara and Rosa Hawkins of The Dixie Cups, and said interview will air on his radio show Sunday night, October 22nd. 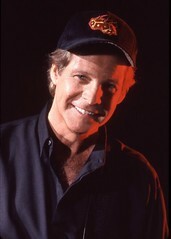 The show itself broadcasts from 9:00 p.m. to 11:00 p.m. Eastern Time and can be heard either via a link from Tommy's website, or directly at Destination DooWop. This is one of the coolest videos I've ever seen - entitled "Blondie vs. The Doors - Rapture Riders," it's a perfect fusion of Blondie's "Rapture" and The Doors' "Riders On The Storm." For more info, visit the official Blondie site. Ron Dante Videos on MySpace! Check out Ron Dante's MySpace profile page for a bunch of cool videos! Among them are a couple of vintage clips from The Archie Show and a trio of live performances from the Rhino Retrofest back in '99. 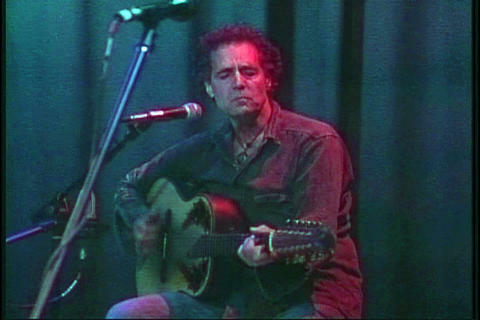 After you've taken a look (and a listen) at the vids on the page, click on the "videos" link below Ron's profile picture to see even more videos of Ron from 1970, singing tunes from his then-new LP Ron Dante Brings You Up. Below is a sampling of what's playing. The handsome and talented Ron Dante is having a birthday this coming Tuesday, August 22. To sign his virtual greeting card, please head on over to the special Birthday Board I've set up to commemorate the event, as I do every year (which means it probably isn't much of a surprise for him anymore - but let's keep it between us just in case!). Feel free to make your message as brief or as heartfelt as you'd like - let Ron know how much you appreciate him. This man is not only responsible for many of my musical memories, from his work with The Archies to his years of producing with Barry Manilow, he's also one of the nicest guys out there! He deserves to be reminded how much we all love him. Please spread the word on this; I'd like to get as many signatures as possible this year - maybe even more than a hundred. Just tell your friends, and they'll tell their friends, and so on and so on. Ron Dante's "The Summer Wind"
Ron Dante has uploaded his cool version of the Frank Sinatra classic "The Summer Wind" to his MySpace profile page. 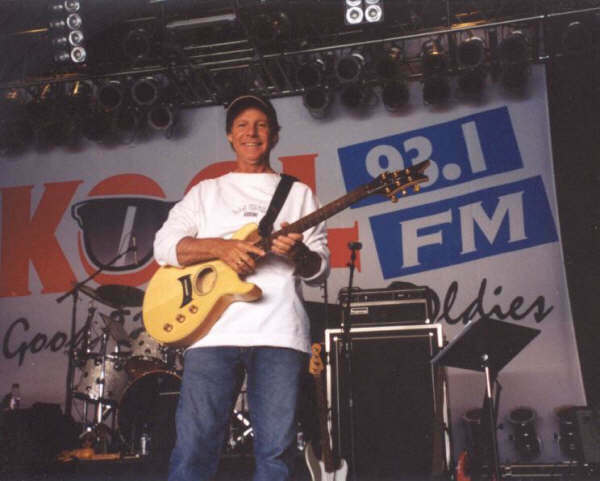 This track, which is from Ron's new CD, California Weekend, will be on his page for just a few weeks, at which time "California Sun" will shine again. So, check it out while you've got the chance. Just click here and enjoy! A California Weekend With Ron Dante! 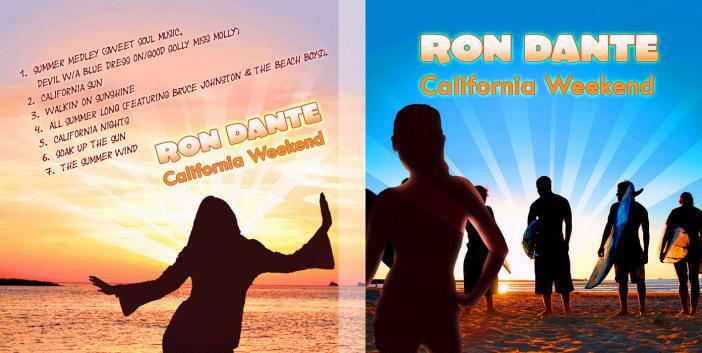 Great news for all fans of the voice of The Archies - Ron Dante's newest CD, California Weekend, has just been released! For details and ordering info, please click here. Ron's really excited about this latest offering, which features a bunch of cool summer songs including the classic Beach Boys hit "All Summer Long" - with guest vocalists Bruce Johnston and The Beach Boys themselves! To hear an audio clip of one of the tracks, "California Sun," please stop by Ron's MySpace profile. And while you're there, if you're a MySpace member, why not add him as a friend and subscribe to his blog, which Ron updates often. Congrats to Ron on this latest CD release ... I know I'm sure looking forward to getting my copy! 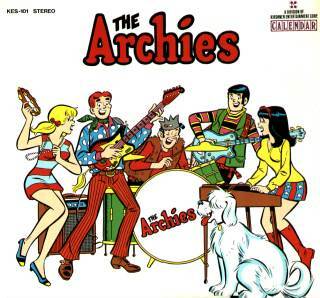 The Archies' Debut Album on CD! 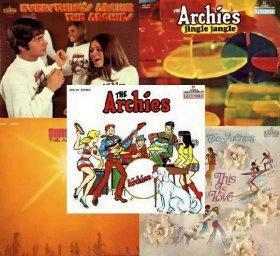 Great news for fans of The Archies - the group's self-titled debut LP from 1968 is now on CD! Released by the Repertoire label, the CD features all twelve of the original tracks plus two bonus cuts. 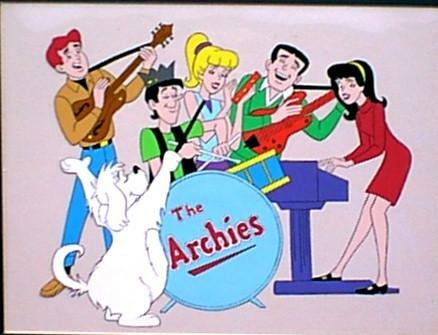 The Archies, produced by Jeff Barry (who also wrote most of the songs) with lead vocals by Ron Dante, is actually considered a soundtrack album of sorts, all of its cuts having made their world premiere on The Archie Show during the Saturday morning cartoon series' first season on CBS. Go to Laura's Ron Dante Fan Pages or the Jeff Barry fansite (link above) for the direct link to the product page on Amazon.com, where you can read up on the CD details and order your very own copy! The current (July/August 2006) issue of Performing Songwriter Magazine has a cool article called "Bands on the Rerun," which spotlights The Monkees, The Archies, The Banana Splits, and The Partridge Family. 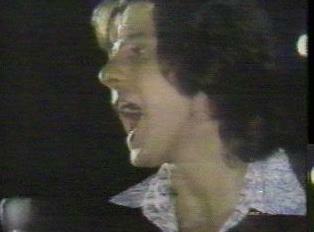 Included are interviews with Jeff Barry, Bobby Hart, David Cassidy, and Davy Jones (quite an eye-opener, that one). Check out the Jeff Barry blogpost (link below) for info on where to get your copy. Also in this issue is a profile on Ray Davies from The Kinks and the story behind the authorship of the song "The Lion Sleeps Tonight." 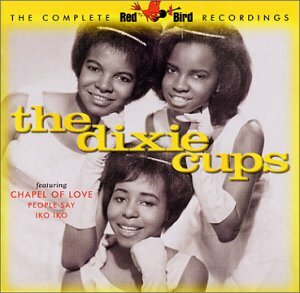 The Dixie Cups, the lovely New Orleans ladies best known for the hit song "Chapel of Love," will be appearing at the 2006 Smithsonian Folklife Festival in Washington, DC on Saturday, July 8th. Click on the link for info. Joey Dee (of Joey Dee and The Starliters fame) was born on this date in 1940 in Passaic, New Jersey. A big Happy 66th to the Peppermint Twister himself, shown above left with fellow Starliters David Brigati, center, and Bob Valli, right, in a photo from the group's appearance at Safety Harbor (Florida) Marina in March of 2006. To see three album's worth of Starliters concert pix, go to my Photosite homepage where you'll find the rest of the pix from Safety Harbor plus a bunch from Storman's Nightclub in Clearwater, FL (Wind Beneath My Wings 2006) from this past February, and Largo, FL from April. Have a great birthday, Joseph! Handsome and talented 1970's singing sensation Tony Orlando (of Dawn) recently appeared at Disney World's EPCOT in Orlando, Florida - yes, you read right, Orlando performed in Orlando - for three days as part of the center's annual Flower Power concert series. 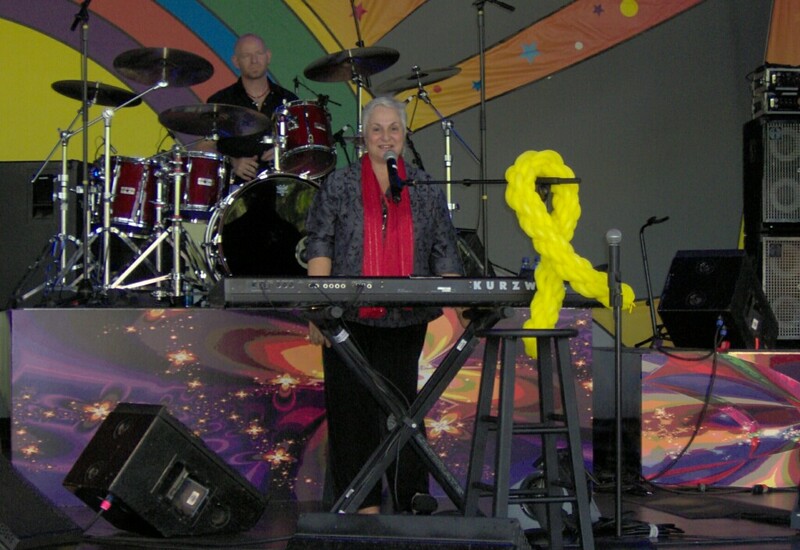 Joining Tony O was the lovely and talented Toni Wine (of The Archies), on vocals and keyboards. 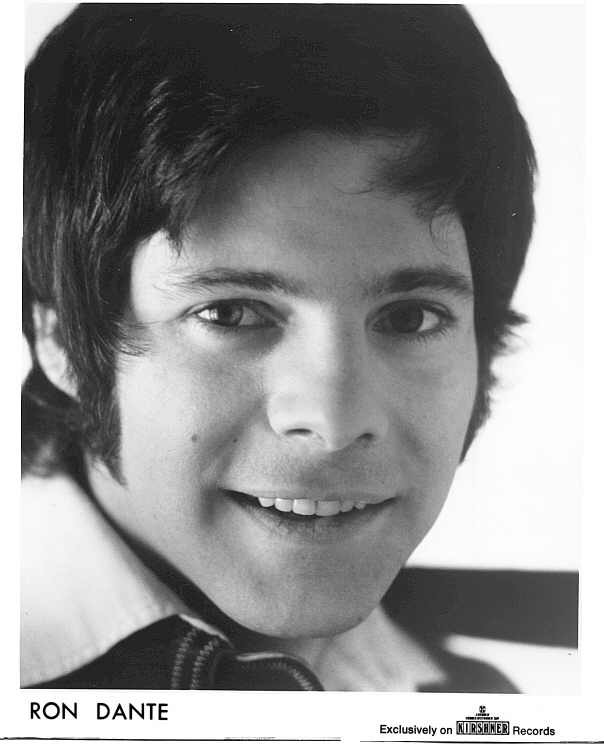 Along with Irwin Levine, Toni Wine wrote "Candida," the first single for Dawn, in 1970, before the group's name was formally expanded to Tony Orlando and Dawn; Toni also cowrote "A Groovy Kind of Love," the Mindbenders hit, with Carole Bayer Sager. Toni can be heard singing backgrounds on a variety of tracks including "It Hurts To Be In Love" by Gene Pitney and "Always On My Mind" by Willie Nelson, but she's probably best known as the female voice of The Archies; she shared lead vocals with Ron Dante on the group's megahit "Sugar, Sugar" in 1969. In addition to "Candida," Tony Orlando and Dawn had hits with "Knock Three Times" and "Tie a Yellow Ribbon Round the Ole Oak Tree." Tony and Toni appear together in concert at venues all over the U.S. For info, check out the itinerary on their websites. 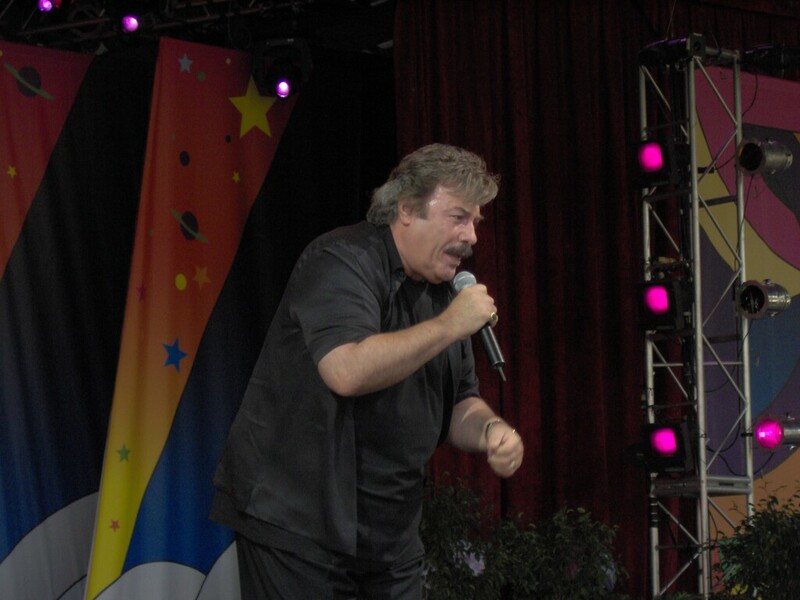 To see the photos I took at Tony's first two shows at EPCOT on May 30, 2006, please visit my Photosite album. The official fan site for The Dixie Cups has just been updated! 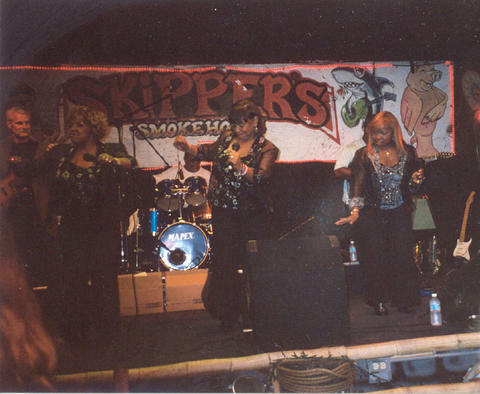 Check out the new Merchandise Page, where you can purchase items such as photos and CDs personally autographed by the ladies themselves; and the newly expanded Photo Gallery featuring a bunch of never-before-seen backstage photos from The Dixie Cups' appearance at the Hurricane Katrina benefit concert at New York City's Madison Square Garden in September 2005. Also, while you're checking out the site, don't forget to sign the Guestbook; and feel free to post comments or questions for The Dixie Cups on the official message board. All links are on the homepage. Check out the newest website from the folks at Scram Magazine - the comprehensive and educational Bubblegum University! Find a comfy chair and bring food 'cause you're gonna want to visit here awhile. They've got the lowdown on everyone from Ron Dante to Jeff Barry to Joey Levine. Take a look at it! 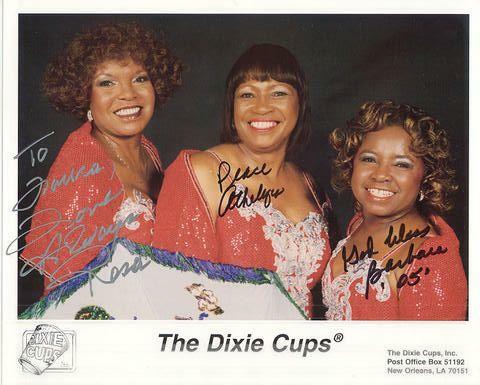 For fans of the delightful New Orleans trio who brought the world such tunes as "People Say," "Iko Iko," and the #1 smash hit "Chapel of Love," Oldies Connection is proud to present The Dixie Cups: The Official Fan Site! This brand-new tribute site will evolve with new additions and content including more photos and possibly a Merchandise page and message board. So don't forget to bookmark the site and check back often. 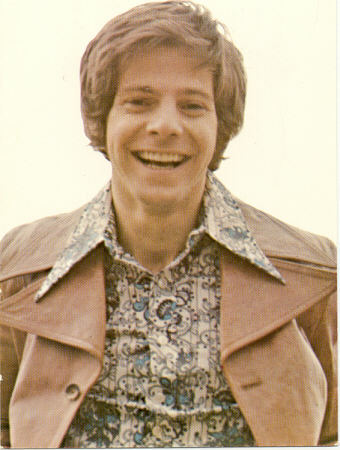 New on Oldies Connection - Neil Brian Goldberg! Even if you don't know his name, you know his work. 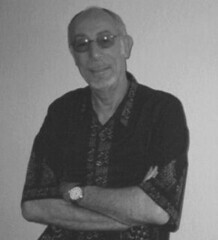 Neil Goldberg has written tunes for a diversity of artists like The Monkees, The Archies, Tom Jones, and Robin McNamara. One of the most prolific of the Jeff Barry-run Steed Records' stable of tunesmiths, Neil Goldberg talks about his interesting, peripatetic and multifaceted life and career in Do It In The Name of Love: The Neil Brian Goldberg Story, by Don Charles. 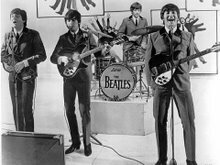 Just follow the link from the Oldies Connection homepage. Anybody who's ever grooved to songs like "Baby, I Love You," "(And) Then He Kissed Me," "Hanky Panky," "Da Doo Ron Ron," "Chapel of Love," "Leader of the Pack" and "I Honestly Love You" is already familiar with the work of legendary Brill Building songwriter-producer Jeff Barry. Born in Brooklyn, New York on April 3, 1938, Jeff was one of the pioneers of the Girl Group sound in the early- to mid-1960's, penning dozens of songs with then-wife Ellie Greenwich and Wall of Sound producer Phil Spector. 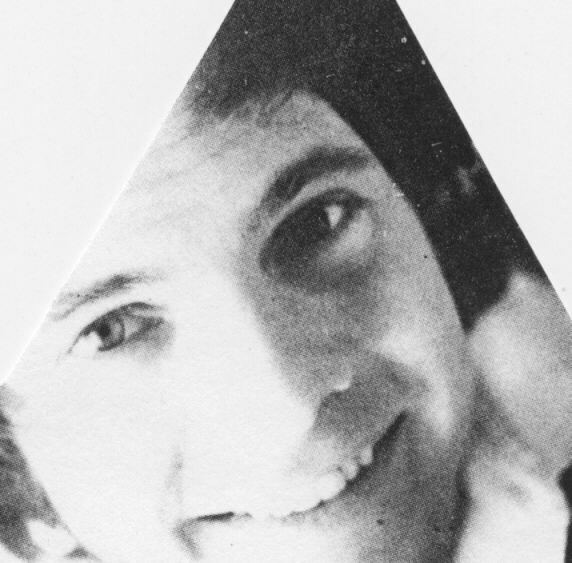 Jeff would go on to produce hits such as "I'm a Believer" by The Monkees and "Sugar, Sugar" by The Archies. "Sugar, Sugar," which was written by Jeff with Andy Kim, sailed up the U.S. charts to the #1 spot and became the RIAA Record of the Year for 1969. In honor of Jeff's forthcoming birthday, I've set up a special QuickTopic message board for friends and fans to post their birthday greetings. If you'd like to add your birthday wishes for Jeff, please click here. Board registration is not required to post. For a thorough, entertaining, and thoroughly entertaining look into the careers and lives of seven powerhouse songwriting teams from New York City's Brill Building, located at 1619 Broadway, and its near neighbor at 1650 Broadway, pick up a copy of Ken Emerson's Always Magic in the Air: The Bomp and Brilliance of the Brill Building Era. Always Magic in the Air (its title taken from a line in the song "On Broadway," which was written by four of the scribes - Leiber, Stoller, Mann and Weil - profiled in the book) is not just an autobiography of fourteen people but a wealth of information on the history of rock and roll, particularly the heavily Latin-influenced sounds that emanated from the Brill courtesy of its young staff songwriters. 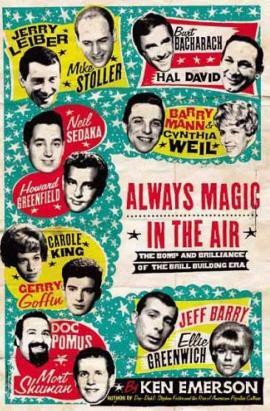 In addition to the teams of Jerry Leiber/Mike Stoller and Barry Mann/Cynthia Weil, the dynamic duos portrayed in Always Magic... are Doc Pomus/Mort Shuman, Burt Bacharach/Hal David, Neil Sedaka/Howard Greenfield, Gerry Goffin/Carole King, and Jeff Barry/Ellie Greenwich. More Joey Dee and The Starliters Pix! The lovely and talented Joey Dee and The Starliters (OK, so they're not all that "lovely" but they are good to look at - and listen to!) put on their usual great show at the Safety Harbor (Florida) Marina on Sunday, March 5, 2006, wrapping up the two-day Harbor Sounds food and music fest. To see photos of Joey Dee and fellow group members David Brigati (an original Starliter and brother of Eddie Brigati from Rock and Roll Hall of Fame inductees The Young Rascals), at left in the above pic, and Bob Valli (sibling to Frankie of 4 Seasons fame), right, visit Classic Pop Music Concert Pix and click on the appropriate link on the homepage. 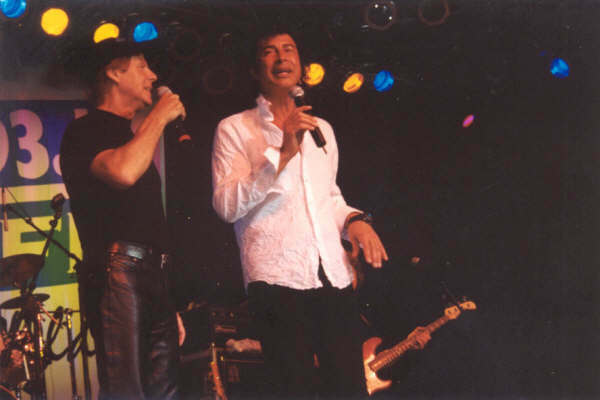 Seeing as how this installment includes a review of the concert Ron Dante did along with Andy Kim at the Riviera Hotel back in September of 2003, may as well have some photos to go along with it - click here to see 'em on my fan pages. I know I'm a day or two late posting this link - sorry 'bout that. Sometimes I have one idea what I want to do and my computer has another. The name of the dance is the Peppermint Twist! To see recent photos of the legendary Joey Dee and The Starliters performing this and several other hits, go to my Classic Pop Music Concert Pix pages and click on the link for Wind Beneath My Wings 2006. 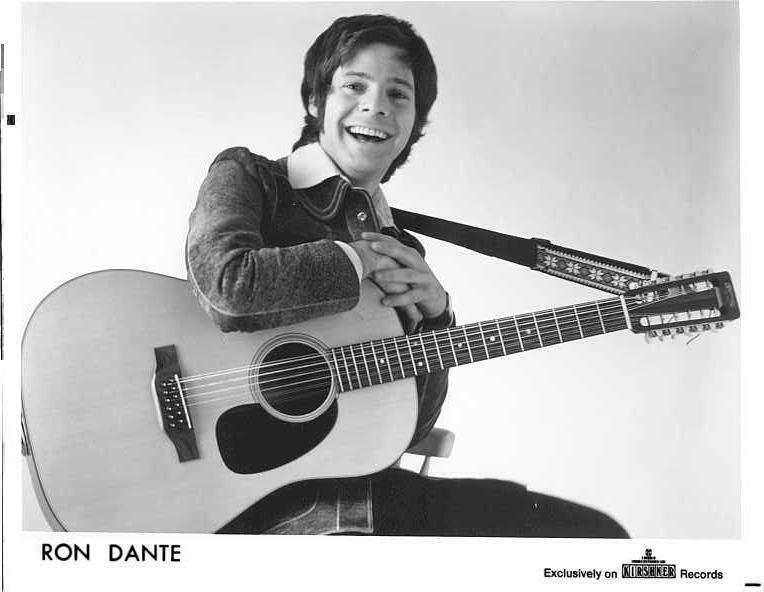 Here's the link to Part 5 of the Ron Dante Forgotten Hits interview as published on Rick Phillips' blog, "On My Mind." Don't forget to visit Ron Dante Online to learn what's new with Ron and to look at his concert itinerary to see whether Ron will be appearing near you! Other cool places to visit: The official Jeff Barry blog, and Stuff 'n' Laura's Pop Culture Cantina! 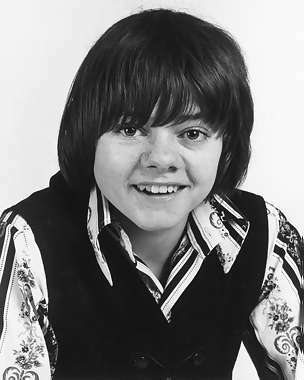 Jack Wild, who shot to fame as the Artful Dodger in the 1967 movie musical Oliver! and who went on to star in the children's TV series H.R. Pufnstuf, has died at the age of 53. Wild had been fighting mouth cancer since 2000.